Jardim Botânico, Curitiba, Brazil. Photo by Leonardo Shinagawa/Flickr. By 2030, the world is projected to spend an estimated $10 trillion on repairing and expanding water infrastructure. Dams and treatment plants are aging, water demand is surging, and more frequent extreme weather events threaten our water security—each driving up water management costs. As costs increase, cities are realizing that investing solely in traditional, built infrastructure isn’t always the best use of tight budgets. Instead, some urban areas are benefitting from natural infrastructure or “green” infrastructure, a strategically planned and managed system of natural lands, working landscapes and other natural soil and vegetation systems across a watershed or within a city, that perform many of same functions as built or “gray” infrastructure. These essential functions, often carried out by the deep roots and multi-layered tree canopies of healthy forests, include purifying water, minimizing sedimentation, regulating flow and stormwater runoff, and reducing the impact of floods and droughts. Natural infrastructure helps to provide high-quality source water and well-regulated flow, which can not only lead to several potential areas of cost savings—such as avoided capital costs, lowered maintenance costs, and reduced treatment costs—but also generate social and environmental benefits. Furthermore, integrating natural infrastructure with engineered solutions can protect and restore ecosystem services, enhance resilience to climate change, bolster local economies, and help cities save money. Benefits added from natural infrastructure are estimated at around $29 trillion per year globally. Philadelphia, PA deploys green infrastructure to reduce stormwater pollution and saves billions of dollars (Source: Philadelphiaift.org). Integrating nature into city planning is nothing new for Philadelphia. Back in the 19th century, the city acquired 9,000 acres (approximately 3,600 hectares) of natural areas to help filter and regulate its potable water, and the land remains protected as parkland. 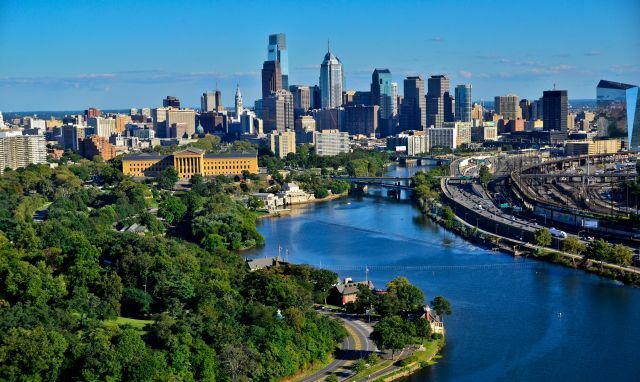 Confronted with challenges from combined sewer overflows during storms, Philadelphia recently conducted a cost-benefit analysis comparing green infrastructure options—such as tree planting, permeable pavement and green roofs—against conventional gray options, such as storage tunnels. The economic benefits associated with green infrastructure ranged from $1.94 billion to $4.45 billion, compared to just $0.06 billion to $0.14 billion from gray infrastructure. In 2011, the city adopted the plan “Green City, Clean Waters” to reduce storm water pollution by greening public spaces, creating a living landscape that slows, filters and consumes rainfall. City officials expect to reduce stormwater and sewage pollution entering the waterways by 85 percent when the project is completed. 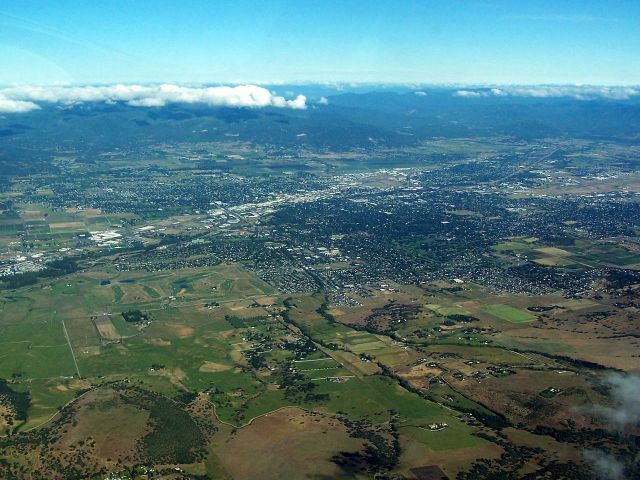 Home to more than 75,000 people, the City of Medford discharges its wastewater into the Rogue River, which passes the city to the north. Because discharge from the city exceeds maximum temperature load requirements, Medford evaluated three alternatives: lagoon storage for discharge later in the year, mechanical chillers, and restoring vegetation along rivers and streams to provide shading along the river. An economic analysis showed that restorating vegetation was three times more cost-effective than mechanical chillers for reducing thermal loads into the river, and would provide additional benefits such as improved wildlife habitat and water filtration. As a result, the city plans to work with 100 landowners through the The Freshwater Trust to restore 30 miles of stream bank at a cost of $8 million. Overall, this natural approach was $8 million cheaper than lagoon storage, and $12 million less than installing mechanical chillers—which also emit greenhouse gases. São Paulo, Brazil, needs to restore the Cantareira Water System to combat worsening water crisis. 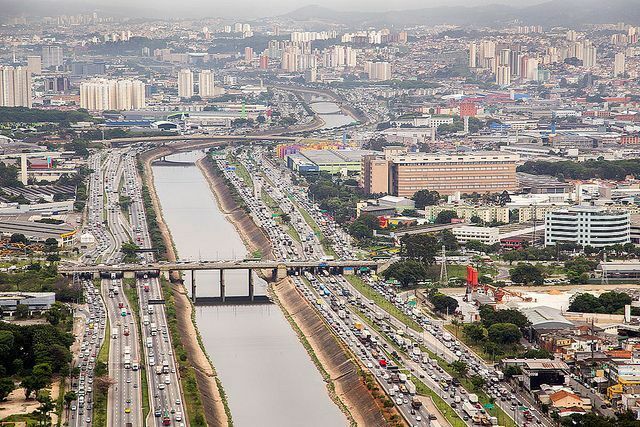 Brazil’s largest and most important economic region, the Greater São Paulo Metropolitan Region, has a population of 20 million people, and recently experienced its worst water crisis in 80 years. This occurred in part because the Cantareira supply system, the region’s primary source of water, receives its water from the severely degraded Piracicaba-Capivari-Jundiaí (PCJ) watershed. Nearly 70 percent of the native vegetation in the PCJ watershed has been cleared, harming the quality, quantity and timing of the fresh water supply – while also increasing water treatment costs and reducing the lifespan of its reservoirs due to siltation. Natural infrastructure offers the city a chance to save both water and money. Based on a model from InVest, The Nature Conservancy estimated that over 10 years, protection and restoration of at least 14,300 hectares (35,000 acres) of hydrologically sensitive land in the PCJ watershed would lead to a 50 percent reduction in sedimentation, saving $2.5 million every year and reducing water treatment costs by 15 percent. In late October of 2012, storm surges from Hurricane Sandy overwhelmed beaches, bulkheads and seawalls, resulting in flooded homes, subways and tunnels, which ultimately cost the city $19 billion in damages. While the tragic hurricane revealed New York’s inadequate coastal defense, it also revealed the benefits natural infrastructure can provide. As public services collapsed along the storm’s paths, water supply remained largely intact, thanks to natural infrastructure. 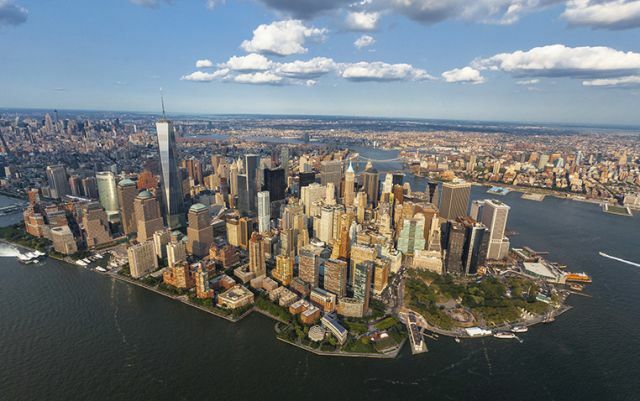 New York City invests around $100 million annually in protecting its upstate watershed, which supplies approximately 1.4 billion gallons of water to the city, while avoiding the multi-billion dollar cost of a filtration plant. Built infrastructures are often more costly, less resilient (especially in the face of climate change), and thus less efficient than natural infrastructure alternatives. In the wake of the storm, the city’s forested watershed provided clean, gravity-fed water (the water flows downhill and no electricity is needed for pumping) without interruption in service and, as a result, few people lost potable water. Meanwhile, in New Jersey, damaged pumps, filtration plants and contaminated intakes left residents without potable water for weeks after the storm, and cost the city $2.6 billion. And near the coast, communities located behind stretches of restored sand dunes and wetlands experienced less damage than those that did not have protective dunes. With heightened awareness of the benefits of nature, the NYS 2100 Commission and PlaNYC have strongly recommended the expansion of natural infrastructure to protect New York City’s shoreline with sand dunes, tidal wetlands and oyster reefs. Cities are increasingly learning to put their money in a winning strategy. Natural infrastructure offers urban areas a flexible way to manage water that benefits ecosystems, people and municipal bank accounts.